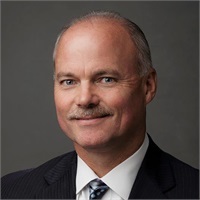 A native of Southern Maryland, Jim graduated from Wake Forest University in North Carolina in 1983 and shortly thereafter began his career in the financial services industry. Following 16 years with his previous firm, Jim joined what is now 21st Century Financial, Inc. as Senior Vice President with a primary focus on advanced planning. He advises closely held business owners and affluent individuals in areas involving estate tax and business succession strategies along with multi-generational legacy, retirement and investment planning. Jim’s vast knowledge and real-life experience brings a unique perspective to both his client and advisor relationships. Along with his Chartered Financial Consultant (ChFC) designation, Jim is a qualifying member* of the Million Dollar Roundtable (MDRT) and the General Agents* and Managers Association (GAMA) at the Platinum Level. For 14 consecutive years, he has achieved invitation to Penn Mutual’s Royal Blue conference* for outstanding performance in addition to earning several leadership awards for advisor growth and development. Jim holds the series 6,7,22,24,63,65 and 66 securities licenses as well as life insurance licenses in 11 states. In his free time, Jim enjoys relaxing at his home in Cuscowilla on Lake Oconee and ineffectively working to lower his handicap. He and his wife Donna have been married for almost 29 years and have two grown sons. *The requirements of being a qualifying member, General Agent, and being invited to Penn Mutual's Royal Blue conference does not evaluate the quality of services provided and is not indicative of the applicant’s future performance.